Mercer County Tennis Facility doesn’t exactly have a problem with staying busy. Along with the hundreds of locals who frequent the courts daily, the facility hosts enough USTA events to keep the park’s popular tennis spot buzzing all year long. various USTA League Adult Section Championships, the historic Cryan Tournament, the New Jersey high school championships, and much more. The park also hosts a myriad of local teams and competitions, truly serving the community in a multitude of ways. The Middle States qualifier for the US Open National Playoffs will take place at the facility June 21-23. It’s difficult to hone in on one thing that brings players to the courts in Mercer County Park, because in the end, the appeal is its mix of size, quality and variety. 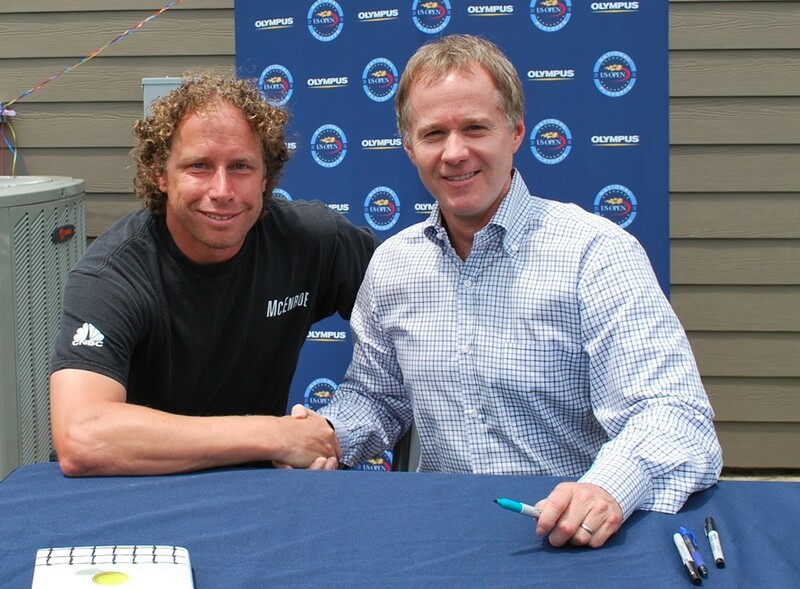 Marc Vecchiolla, Director of Tennis, poses with Patrick McEnroe during the 2010 US Open National Playoffs Middle States Qualifier. Mercer boasts 28 total courts (22 outdoor and six indoor), with 14 of those courts lighted and available for year-round play. Vecchiolla said he and his staff take pride in the quality of each court, which is proven this year as the facility undergoes a costly reconstruction effort, which will keep the courts up to date and in prime shape. Some of the projects include work on the stadium court and the complete reconstruction of six other outdoor courts. By season’s end, 14 others will also be resurfaced and re-lamped, and each outdoor court will have lights available. The stadium court will have individual seating to replace the bleachers. 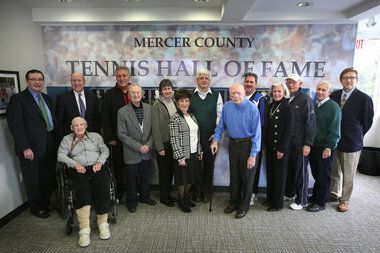 The newly opened Mercer County Tennis Hall of Fame in the clubhouse. That work is in addition to the total redesigning of the main clubhouse, with a Mercer County Hall of Fame room and new bathrooms. The idea behind the work is to be proactive, rather than reactive. A major event will head to town next summer, as well, when Mercer hosts tennis – and much more – during the 2014 Special Olympic Games. The Games are expected to attract 3,500 athletes, their families, and thousands upon thousands of spectators, to New Jersey from June 14-21. For more information on Middle States’ Premier Facilities, click here. 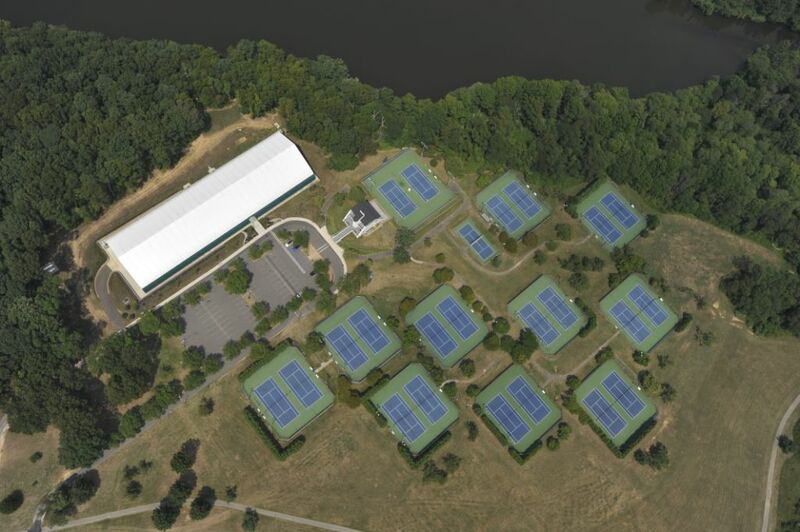 Mercer County Park does not seem to be in keeping with the USTA’s apparent commitment to all kinds of diversity. Though a municipal facility, the prices for court use are on par with private clubs and are prohibitively expensive for many families in the area. It enforces the idea that tennis is for rich people, and is likely missing an opportunity to foster local talent. We agree that Mercer County Park is a beautiful facility. USTA Middle States is very proud to honor it as a Premier Facility in 2013 because of its commitment to providing very diverse program options for all ages and capabilities. Hundreds of court hours are donated annually to the National Junior Tennis and Learning of Trenton and to the Special Olympics. For just $30, a resident Junior, and for just $60 a resident Adult, can have free outdoor court use and discounted indoor court use for the entire calendar year. Mercer County Park is hosting a free Wilson Demo Day on Saturday, June 22nd during the US Open National Playoffs. This would be a great opportunity to not only try out the facility, also, to learn more about the programs that are open to everyone throughout the year.